Paris, the City of Lights, has quite an after-dark reputation and is considered by many, the highlight of Europe. There is a lot of ways you can enjoy a night in Paris – from foot to carriages and cruises. Whether this is your first time visiting Paris, or you just want to experience something new, we got your back! There is a lot of Tours, you can take and tools you can use for the best experience. So here we go, our list of nightlife tours and experiences is under your fingertips. Everyone is different. And not everyone imagines their perfect vacation in the same way. That why we decided to list something for everyone – so that all of you can enjoy your time in Paris according to your image. Everything from quirky walking night tours, fancy food-tasting tours, and dinner deals, bar crawls and night museum tours to guiding-books. Walking tours are classics when it comes to exploring the city. There are numerous tours, discovering different corners of Paris. Some of them include bike tours, mysterious walking tours and more so buckle up! First of the Paris nightlife tours we will mention is a classic walking tour in the Latin Quarter offers you 2 to 2,5 hours of fact, stories, and fun facts. Taking you through the Latin Quarter of the City of Light. The Latin Quarter is considered to be the heart of Paris when it comes to history, culture and specifically nightlife. Also, it is one of the must-see places to see in Paris at night. If you like to be spooked out by the stories, then Dark Side of Paris Evening Tour is the one tour for you. Your guide will take you through the city while sharing many stories of murder, mystery, mayhem, and ghosts. That all with the beautiful and luminescent background of Paris during the night. With the tour, you will visit many famous monuments and attractions the city has to offer. Prepare to be scared! We can imagine that after the whole day on foot, you might be a bit tired of walking. We offer you a solution! Paris Night Bike Tour will take you through the city and all its attractions in a matter of 4-5 hours. 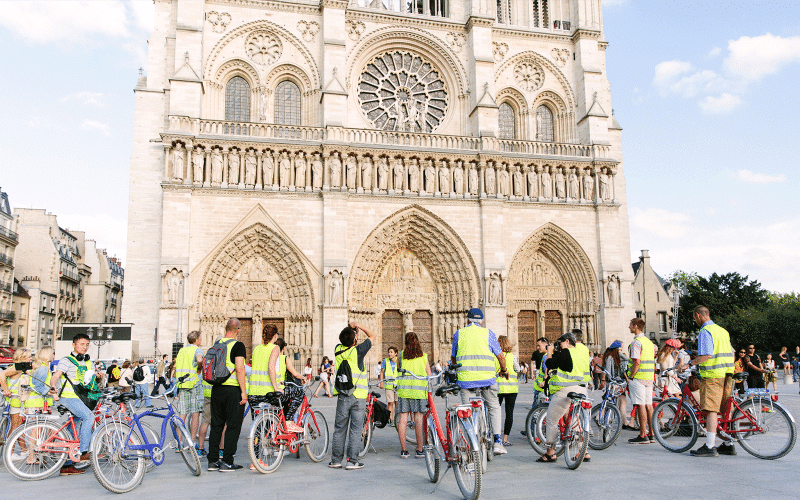 Some of the main highlights of the bike tour are the Notre-Dame Cathedral, Eiffel Tower or Louvre. The tour guide will also take you through the famous Latin Quarter. You will finish the tour on a Cruise boat with some wine, which is also included in your ticket! Isn’t that amazing? Does riding a bike still seem like a way too much work at the end of the day? 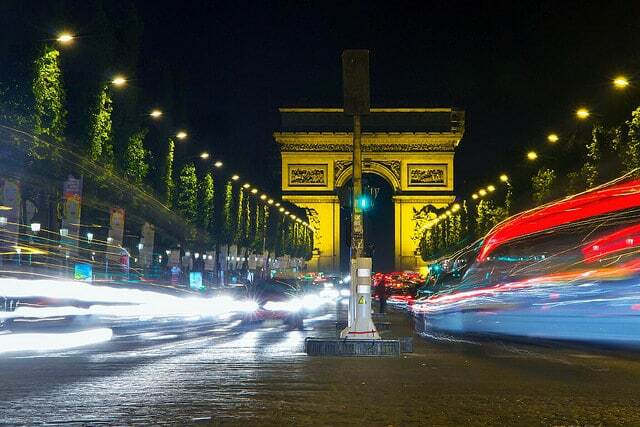 Take a Big Bus Night Tour around the most recognized sights in Paris. Classics like the Eiffel Tower, Louvre, Notre-Dame de Paris and Moulin-Rouge are all on the agenda. The bus tour does not offer a guide, however, you’ll get an audio-guide which is available in more than 10 languages. The bus ride takes 2 hours and is a good basic tour. However, if you’re more interested in the history of Paris and all the fun stories it offers, we recommend you go on a tour with a personal guide (rather than an audio recording). We get it. You came to Paris and it would be a sin, not to try out some of the French specialties. That’s why we picked three tours that either specifically focuses on food or include a dinner in their package. 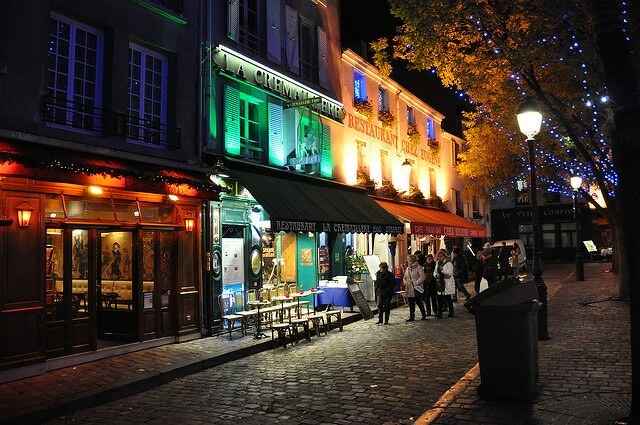 Another one of the Paris nightlife tours is the Evening Secret Food Tasting Tour in the district Montmartre. During the 3 to 3,5 hours your local guide will offer you so many delicious snacks, it will feel like an out-of-body experience. You will try things like chocolate, macarons, French cheeses and pastries, and much more, including French wine! As a bonus, you will also get a secret dish, you will most definitely enjoy. Great opportunity if you’re traveling with your significant other, or even with good friends is take the Cruise Boat Tour. Or even better – a Cruise Boat Tour with a Dinner on Board! The cruise will take you on a magical ride on the Seine river that splits Paris in half. During the cruise, you will spot landmarks like the Eiffel Tower, Notre Dame Cathedral and the Louvre. The mesmerizing shine of Paris during the night will take your breath away. The cruise takes about 3 hours and the meal includes 4 courses. Who wouldn’t love! Want to feel even fancier? Listen up! 2,5 hours tour full of amazing art and exquisite wine tasting – how does that sound? 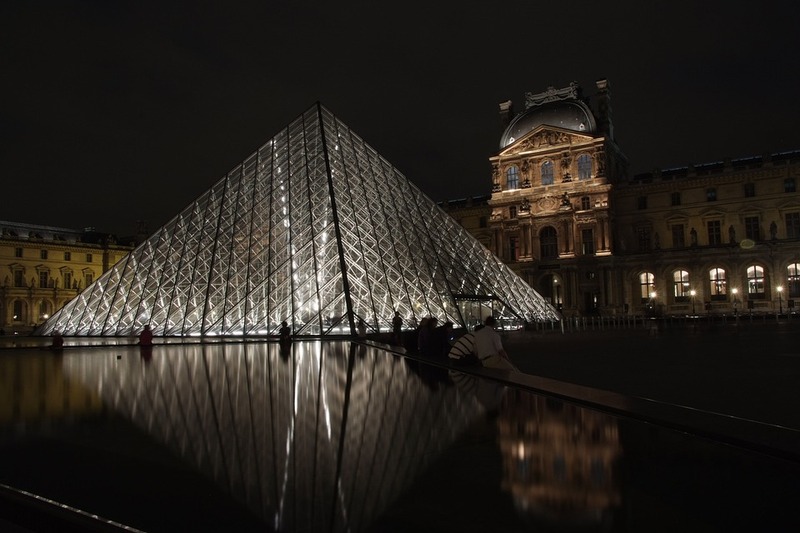 For the price of the ticket, you will get an expert guide who will take you through the 8 themed galleries of Louvre – with skip the line access of course. At the end, you will also participate in a wine degustation session, topped up with some amazing cheese. I mean this must sound amazing to anyone who loves art and enjoys a good glass of wine (or two (or three)). Whether you’re not a fan of Paris Nightlife Tours, or you simply want to experience the city in a different way. We have a few suggestions on how you could spend your night. With our Riviera Bar Crawl Paris you won’t have to worry about any tourist traps! Our night guides will take you through 4 venues (bars and club). You will meet a bunch of great people from Paris and all around the world. What are the other perks? You will get at least 3 shots for free and plenty of drink deals and drink specials. The entry fees in Parisian bars and clubs can get pretty expensive. However, with the Paris Bar Crawl, you will get to all the venues for FREE. Imagine that – having a great time with new found friends and saving money! Sometimes it is better to just scroll down the beautiful streets of Paris on your own. Especially if you travel on a budget or enjoy getting lost in the city. If that is your case, consider these. We found two great option for Travel Guides – one in French and one in English. You can download them and have them at your hand all the time. Another option you might want to consider is purchasing a local SIM card with data. With that, you will have access to the internet, in case of emergency and you can discover Paris other online platforms. For whatever tour you decide, be sure to check out current events online before you plan anything. Check if there are any concerts, exhibitions, festival or for special occasions you might want to attend. Events like this can level-up the experience and memories you take back home with you from the City of Lights.